Elegant turned legs and a full floor base add intrigue to this transitional sofa table. Place this table next to a chair or sofa for a useful and eye-catching accent piece. 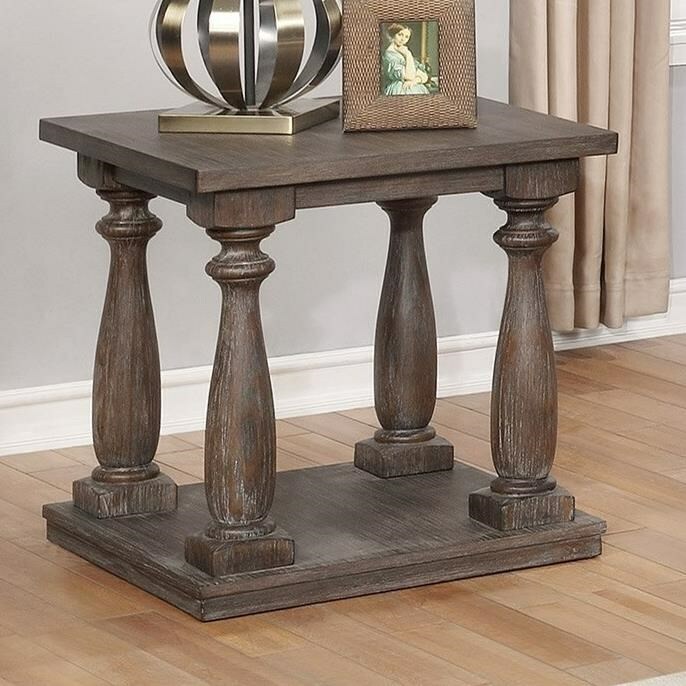 Perfect for homes of many styles, the table has a welcoming brown finish. The Regent Transitional End Table with Turned Legs by Crown Mark at Miskelly Furniture in the Jackson, Pearl, Madison, Ridgeland, Flowood Mississippi area. Product availability may vary. Contact us for the most current availability on this product. Browse other items in the Regent collection from Miskelly Furniture in the Jackson, Pearl, Madison, Ridgeland, Flowood Mississippi area.